Call center interview questions and answers usually aren’t too complicated, but rehearsing in advance will still be beneficial. Call center positions can be excellent job opportunities for college students and those interested in the customer service industry alike. If you’re about to interview for a call center position, you may want to brush up on a few likely questions beforehand. How Would You Handle a Problem With a Co-worker? Call centers, just as other customer service divisions, want to maintain departments that are free of drama or personal issues. 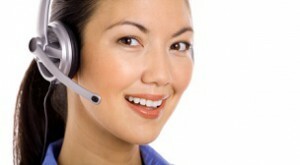 Call center interview questions and answers will attempt to determine whether you are a team player. They want to ensure that you can handle internal problems with ease and without causing issues for a manager. If you are asked this question, you should first preface it by saying that you very rarely have any issues with co-workers. Go on to give an example of a time when you did have an issue but were able to resolve it on your own through honest communication. How Would You Handle an Angry Caller? Customer service workers often have to deal with irate callers, and it often has nothing to do with anything the customer service professional did. When handling an angry caller, you should identify their problem and discover ways to resolve it. You should not suggest elevating the call to a manager, as this will sound like you cannot deal with the problem on your own. You should also emphasize the fact that you would be patient with the caller and would work with them until they were satisfied. This is one of the most common call center interview questions and answers, so you should definitely practice your answer. Customer service interview questions and answers are usually fairly predictable, and this one is no exception. You should usually emphasize the positive relationships that you have had with managers rather than considering any potential negative experiences. You can also mention specific aspects of your previous managers that made them easy to deal with even under high pressure situations. The best answers to interview questions are honest answers. There are many wonderful aspects about working in a call center: helping people, working with other staff members, a fast pace of work and the ability to control your own performance. You can pick out a few of these positive aspects of call center work and use them as your examples. Managers simply want to know that you’ll be satisfied with your position and that it’s something you’re truly interested in. Practicing call center interview questions and answers will prepare you for this challenging career.